Robert Schofield heads EIB’s Financial Sector Division covering Africa, Latin America/Caribbean and Asia/Pacific. EIB, based in Luxembourg, is the European Union’s long-term financing institution. Robert is responsible for EIB’s relationships with local and international financial institutions, aiming particularly to support banks in modernising their banking services in developing countries and in financing private enterprise. Previously, Robert headed EIB’s Corporate and Banking Division in Western Europe, financing corporate R&D and innovation, and supporting SMEs via the major western European banks. Robert joined EIB in 2000 after an extensive commercial banking career with Barclays in the UK, Zimbabwe and Côte d’Ivoire, including roles in corporate lending, product development and structured finance. 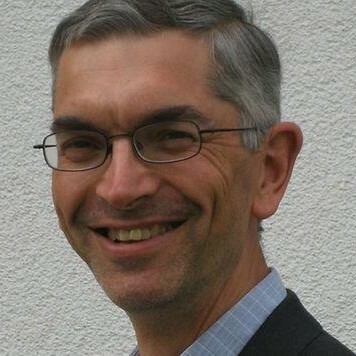 Robert holds a MBA from University of Cambridge Judge Institute, and a MA from University of Oxford.